Female avatar vector character. 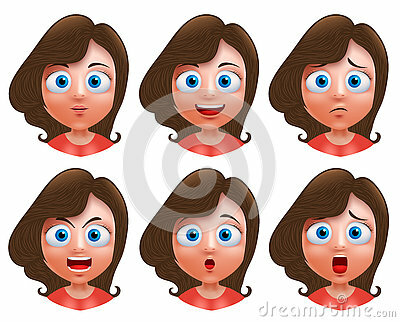 Set of teenager girl heads with facial expressions and wavy long hair for fashion isolated in white background. Children heads, avatar. Color flat vector. People faces. Set of flat vector avatars. Vector set of different male and female icons in trendy flat style. People faces or heads collection. Cartoon child face icons. Vector set of children or teenagers heads outlined. Cutout illustration. People heads and faces images collection.